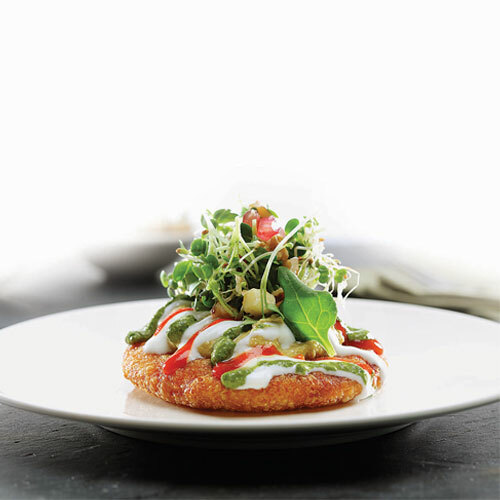 India – the land of gastronomical delight. My mouth waters when I think of the variety of food that is available. Recipes that have been handed down from generations, each lady…in some cases, the man of the house, also, adding a special touch served with dollops of love and affection. Once considered the shining jewel in the British Empire’s crown, India can today be easily deemed as the huge, 60-carat diamond in the world’s flavoured cuisine ring. The large variety of dishes, appetizers, snacks, side dishes and desserts have found numerous fans on an international scale, as Indian restaurants grow at an incredible rate, with an enormous success in every possible culture and in every possible corner of the world. Combining all tastes possible, the Indian cuisine is bound to satisfy spice-lovers, “salty” people and persons with a sweet tooth alike. Food lovers just need to be prepared for an explosion of flavours in their mouths. Indian cuisine is about as easy to explain as thermodynamics. Over 5,000 years of history, India has welcomed a multitude of settlers with a variety of belief systems. In order to understand the evolution of the indigenous cuisine of India, one must realize this country is anything but homogenous. Regions and religions make up a large portion of the cultural fabric of the food. “Indian food” is a phrase that an average Indian would surely laugh at, because, such a phrase would be like saying to a sommelier “North American wine.” Like Napa, Sonoma, Columbia, and Anderson Valley, for example, there are many areas within India that have its own unique cooking methods, spices, and local ingredients. With over 1.2 billion population, the diversity of its food is as diverse as its people. Some say that the Indian cuisine is almost as diverse as the entire European cuisine, because of the four different main regional styles: the North Indian cuisine (the regions Benaras, Kashmir, Mughlai, Punjab and Rajasthan), the South Indian cuisine (regions Andhra, Kannada, Kerala and Tamil), East Indian cuisine (regions Assamese and Bengali) and Western Indian cuisine (regions Gujarat, Maharashtrian and Malwani). In the northern part of India wheat is a primary constituent of this region’s dishes. Southern regions however tend to focus on more spicy dishes and rice is a constant ingredient in their food. To give the taste of their main dishes, North Indians use onions and coriander whilst southerners use a more exotic coconut base for their dishes. Although people follow the same ingredients for each particular recipe, it’s important to understand that authentic Indian dishes can never be limited to a strict formula, since they differ from household to household. Because of this, when the British armies set foot in India, their cooks were dazzled by the sheer number of variations of the same dish. One legend stands out of the crowd from the history of Indian food, namely that of the British cook William Harold. William was quite an experienced chef, working for a rather successful restaurant in central London, when he was sent to India to help the war effort with his meals. Because his dishes were so delightfully well done, he was promoted to be the personal cook of a high ranking officer in the British Empire’s Army. 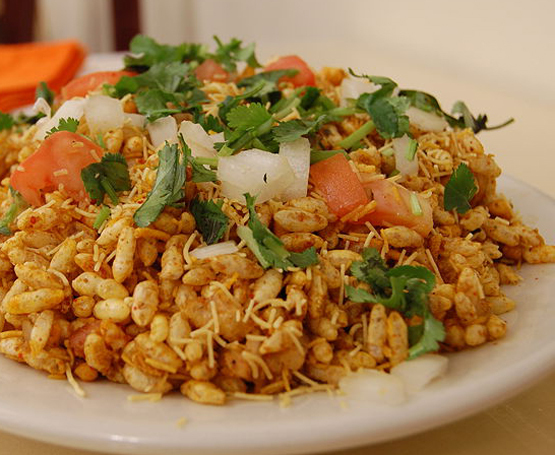 One day, the officer ordered William to get the recipe for a local dish he ate and thoroughly enjoyed that day, named by the locals Bhel Puri, in order to mass-cook it for the troops. Because there were very few written recipes in India back then (locals were passing on their cuisine with each generation, usually orally) William started walking from home to home, knocking from door to door, in order to find the recipe for the Bhel Puri, which, even today, is quite a complicated appetizer. With every house he went to, he got another recipe, another kind of spice to put on top of the potatoes and puffed rice (seemingly the only ingredients that remained constant in the dish) and another kind of oil to use. Another Indian folklore regarding a dessert is this interesting story of Payasam (or Kheer as it is called in Northern India). This dessert has been an essential dish throughout the history of India, being usually found at ceremonies, feasts and celebrations. In Southern India, ancient traditions tell that a wedding is not fully blessed if Payasam is not served at the wedding feast, this tradition being kept alive with each generation, still being practiced by newly wedded couples, mostly in the southern regions, from where the tradition started in the first place. 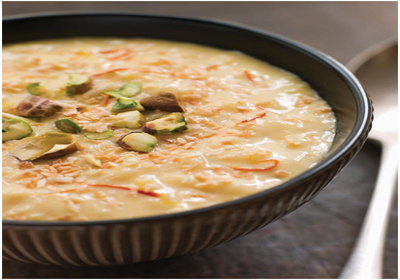 The best and most popular Payasam dishes are found in the temples of Guruvayoor and Ambalappuzha. In the Ambalappuzha temple, Payasam is served as part of a tradition, based on an ancient legend. The legend states that Lord Krishna (the eight avatar of Vishnu, playing a major role in the Hindu religion) took the form of an old sage and challenged the great king who ruled over that region to a game of chess. Being a true chess player and a master of the mind game’s tricks, the king gladly accepted the sage’s invitation. Asking what the sage wanted in case he wins the game, the king remained bedazzled by the sage’s request: an amount of rice grains for each square of the chess board, each pile having double the number of grains than the previous pile. So the first square would have only one grain of rice, the second would have 2 grains, the third would have 4 grains, the fourth would have 8 rice grains and so on, each pile growing at a geometrical progression from the past pile of rice grains. Hearing this request, the king was shocked that the sage wanted only what he taught were a few piles of grain, when he could have betted for his whole kingdom or the immense riches that he held. Naturally the king lost, (because playing chess against a God is not that easy, mind you) so he started placing grain piles on each square, starting with only one grain. He soon realized that the sage’s demand was not entirely what he thought of, when the number reached one million grains of rice by the 20th square. By the 40th or so square, the entire kingdom’s rice reserve was depleted and when he got to the last square he calculated that he would have to pay the sage 18,447,744 trillions of tons of rice, which he could have never paid off. The sage then revealed his true form, that of Lord Krishna, and said that the debt does not have to be paid immediately, but the king will have to serve Payasam freely in the temple of Ambalappuzha, to pilgrims, homeless or whoever comes there for peace of mind and prayer or for those seeking shelter. This is how the Payasam became famous, integrating in the Hindu culture. The tradition of freely serving Payasam in Ambalappuzha still lives today and pilgrims all over India have an easier ride knowing that a hot bowl of the sweet dessert awaits them at the end of their journey. Stories aside, food in India has evolved over decades. Being a foodie myself, I have been observing trends the last 3 – 4 years. Chefs in India have been reinventing our cuisine in contemporary ways to keep up with the well travelled Indians & their adventurous palate. Just when I was getting used to some form of fusion food – starting from vodka shots in Gol Guppas to hot Gulab Jamuns & vanilla ice cream, I discovered something called molecular cuisine. This is the new contender trying to jazz up Indian dishes in a hyper modern avatar. 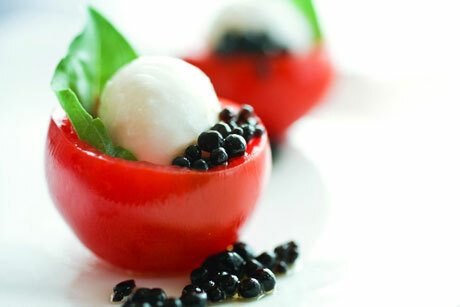 My first exposure to molecular cuisine was when I ate in a restaurant called Caperberry, in Bangalore. My second experience was in Delhi, when I ate at Shroom. Unfortunately, for whatever reasons, the chefs in both these restaurants stopped experimenting with molecular cuisine. So, what is this new age cuisine? Molecular cuisine is a method where the chef employs techniques from molecular gastronomy, seeking to manipulate our senses with unconventional expressions of food we have grown up eating. Therefore, a simple rice based dessert like Phirni becomes truly exotic, when the waiter serving this dish, pours a misty rush of liquid nitrogen that is bubbling at -200 degrees Celsius over this creamy concoction & liberally tops it with thandai cream. For people who love to experiment and taste subtle and sublime flavours, they will love this innovative way of cooking. I loved it. I am waiting to experiment at two restaurants that friends have praised – Masala Library & Farzi. If any of my readers have eaten there, drop in a line with your feedback. And if reports are to be believed, certain Indian chefs are working hard towards to attaining the coveted Michelin star for a restaurant in India. Indian Cuisine – your time has arrived!! !